One of the most popular attractions in Canada in the "Cowboy Way of Life" you can find in and around Calgary Alberta. You can still find an authentic "cowboy way of life" in Calgary. Not only can you visit one of the many guest ranches outside of Calgary, if you time it right, you can enjoy the "the Greatest Outdoor Show on Earth" (The Calgary Stampede) for 10 days in July. It usually takes place from the first Friday in July to the second Sunday in July. Each summer, hundreds of thousands of people from around the world come each year to enjoy the rodeos, the fair, the parade and the excitement of this way of life! The whole city gets involved, you will find everyone wearing their cowboy hats and clothes to work, including the transit workers and business people. You will find parties everywhere, and the store windows are decorated in anticipation of the event. The rodeo itself draws cowboys from as far away as Brazil to try and win their share of the $2 million prize money. The events take place each day and the evening ends with an incredible fireworks show. If you can make sure you see the Chuck Wagon racing - I saw it years ago and the loved it! Even Prince William and his bride Kate Middleton visited and spoke at the Stampede on their first trip to Canada and abroad as a married couple. 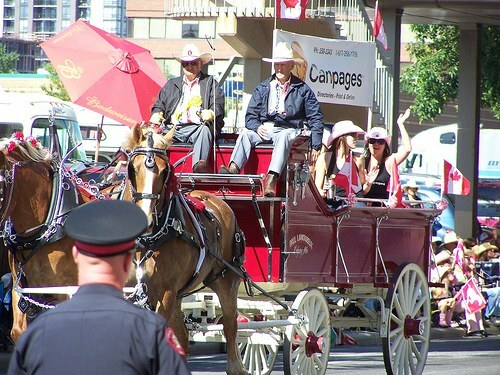 Read what other travelers have to say at TripAdvisor about the Calgary Stampede. They ranked it the #4 attraction in Calgary. Buy your tickets to the events as early as possible too. Some buy them as early as November the year before! 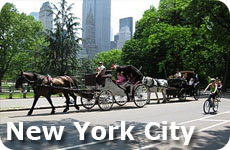 A full day tour to enjoy the beauty of the Rocky Mountains. You will visit the Cave, and the Basin National Historic Site. Ride the Banff Gondola to the top of the mountain and enjoy the incredible views. You will get some free time to enjoy your lunch and go shopping in Banff. Go further into the Rocky Mountains by taking an all day tour from Calgary to Jasper. You will visit Banff, the Ice fields Parkway and Jasper National Park. This is one of the most scenic drives in Canada. Please note this is a one way tour, so if you are planning on visiting more of Alberta this is a great way to do the Calgary to Jasper leg.